Well today I’m sharing a scarf I got at H&M. Not my local one but the one in Indianapolis. In 2012 for Super Bowl XLVI. And no I didn’t go down to watch the game. I went to watch Late Night with Jimmy Fallon. When my brother found out that they were bringing the show for the weekend my brother got us tickets. It was so much fun. But we had to wake up early to get down there and get in line for the tickets. We made a trip out of it so our parents went with us. After we got our wristbands we met up with them. My mom and I walked around Circle Center Mall and my dad and my brother did the Super Bowl Village. I found this scarf and loved it. 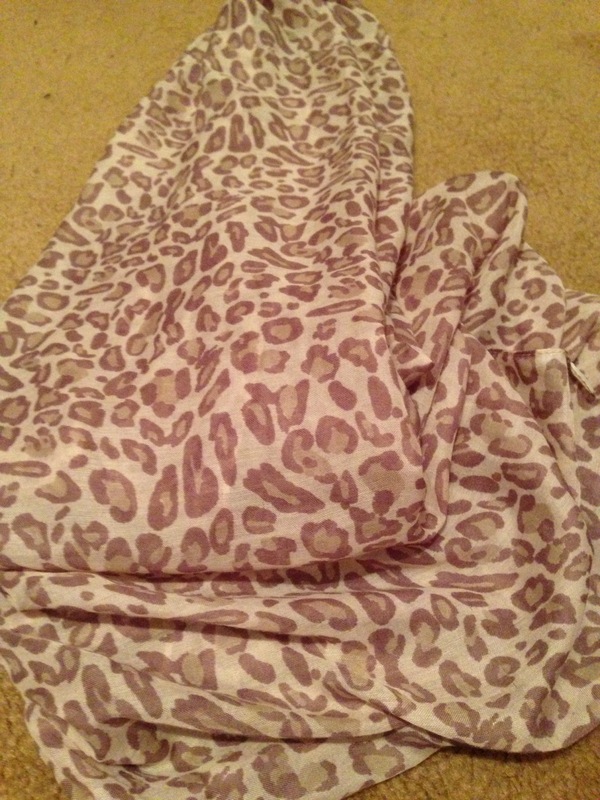 The leopard print pattern was beautiful and it’s a hint of pink. I also found some pretty bangles. It was a fantastic day and I loved spending it with my brother, mom and dad.